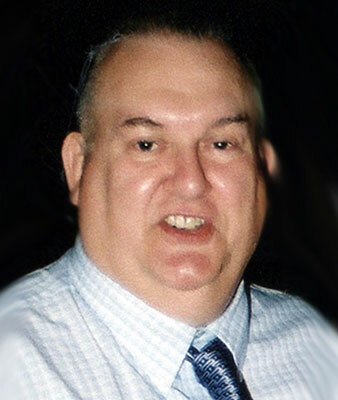 LEWIS J. CARDELEIN JR YOUNGSTOWN - Lewis Joseph Edwin Cardelein, 72, passed away early Wednesday morning, Sept. 21, 2016, at Briarfield Manor in Austintown, following a one-year illness. Lewis was born Nov. 19, 1943, in Nottingham, England, a son of an American G.I. and his English war bride, Lewis and Edith Line Cardelein. He came to the United States and to Youngstown in 1946 with his family, and graduated from Chaney High School in 1961. Lewis was a veteran of the U.S. Air Force, serving as a jet engine mechanic. He was stationed at Langley Air Force Base in Virginia and served in Japan, England, Turkey, and Vietnam. He attended Youngstown State University for two years and worked at the General Motors Lordstown Plant for 30 years, retiring in 2003. Mr. Cardelein, who was also known as “Rusty” to his family and friends, was a member of the New Middletown Farmers & Sportsmen Club, the Jackson-Milton Lions Club, and the YMCA. He enjoyed trap-shooting and turkey shoots, and was a very generous and kind man who often donated to many organizations and charities. He leaves his mother, Edith “Alice” Cardelein of Youngstown; a sister, Lois (Steve) Nyers of Youngstown; a nephew, Steven (Kelli) Nyers of Columbiana; a niece, Wendy (Todd) Potts of Boardman; great-nieces and great-nephews, Alexander, Mary Alice, Lauren, and Gavin; and many friends, including Paul Purins, who was a close friend for the last 65 years. Lewis’s father passed away in 2003. Family and friends may call from 5 to 7 p.m., Friday, Sept. 23, at Kinnick Funeral Home, 477 N. Meridian Road, Youngstown. Funeral services will take place at 10 a.m., Saturday, Sept. 24, at the funeral home, with interment to follow at Green Haven Memorial Gardens. Please share your memories of Lewis.